We believe in having the right protection to not only protect your business but also your livelihood. It can make the difference between bouncing back with confidence from a major claim - or going under completely. 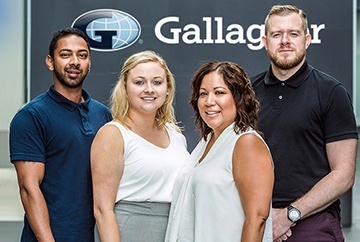 Here at Gallagher we believe in the value of supporting the nursery and gardening industry through associations and partnerships, and we're proud of our 25-year relationship with Nursery & Garden Industry Australia and our endorsed status with NGINA. With help from NGIA, we have developed and refined insurance which comprehensively addresses your risks - including those that are unique to retail and wholesale nurseries and plant growing businesses. But we can also look after any of your business insurance needs. Just ask! To find out more about our products and services, drop simply fill in your details on the form on this page and we'll get back to you at a time that suits you. and Plant Growing insurance specialists are here to help! If you need advice or more information on our insurance products and services, we'd be delighted to hear from you!